Extruder temperature range of 210? to 250? High quality 1.75mm Brown ABS filament from Octave, used with Afinia, Reprap, MakerBot, UP!, PrintrBot, MakerGear, Solidoodle, Ultimaker, and other 3D printers. Produces excellent 3D printing results. 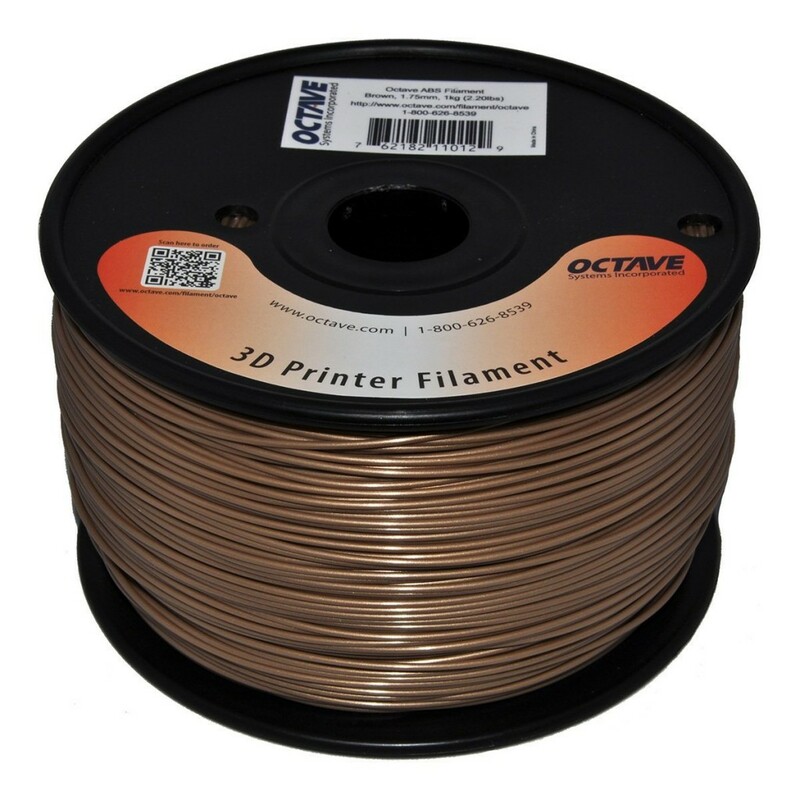 High quality ABS plastic filament, manufactured to very tight tolerances and a wide extruder temperature range, making for smoother 3D printing, and fewer extruder nozzle problems. Print temperature: 210 – 250 celsius degree; Filament diameter: 1.75 mm +/- 0.10mm. Available in 18 vivid colors – white, black, natural, red, green, yellow, pink, orange, purple, blue, brown, grey, gold, fluorescent red, fluorescent green, fluorescent yellow, blue glow in the dark and green glow in the dark.